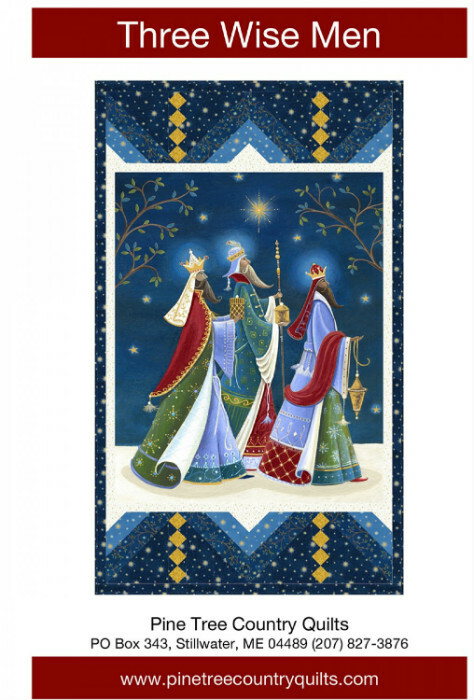 Three Wise Men Pattern PT1647 designed by Sandy Boobar from Pine Tree Country Quilts. 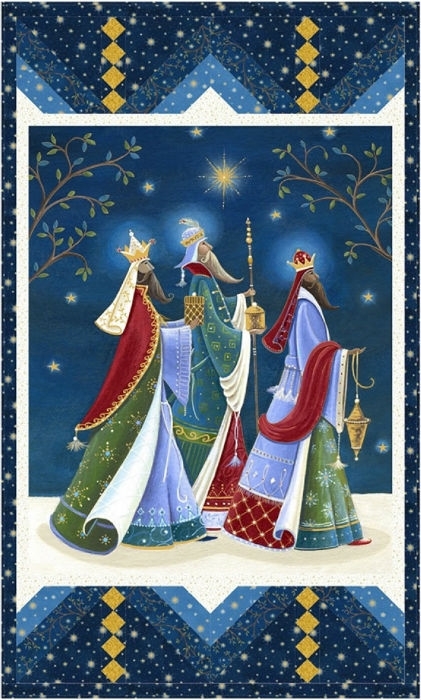 A unique way to use a holiday panel. Minimal piecing for maximum impact in this 34in x 57in banner. 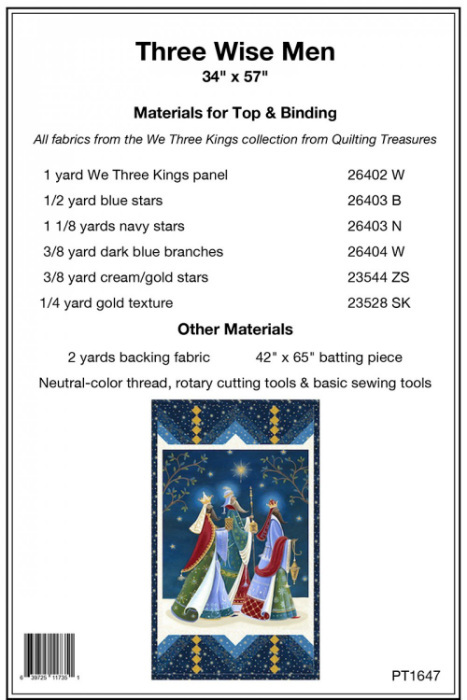 Sample quilt features the Three Wise Men collection from Quilting Treasures.